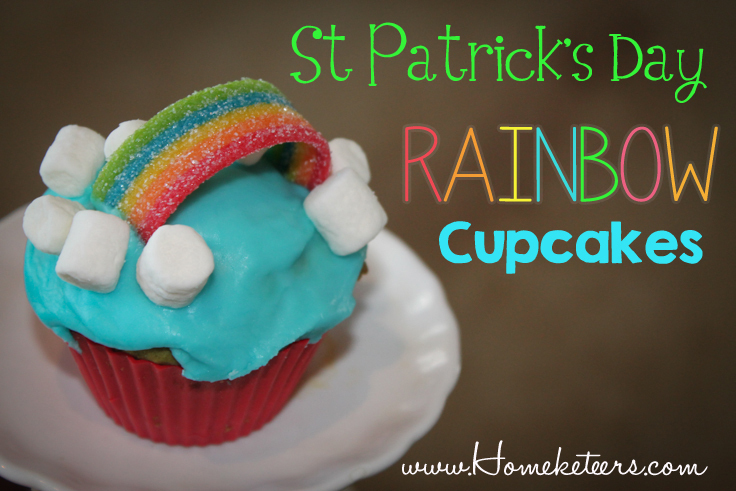 These cupcakes were really fun to make and they would be great for kids to help with, also – perfect for St Patrick’s Day! 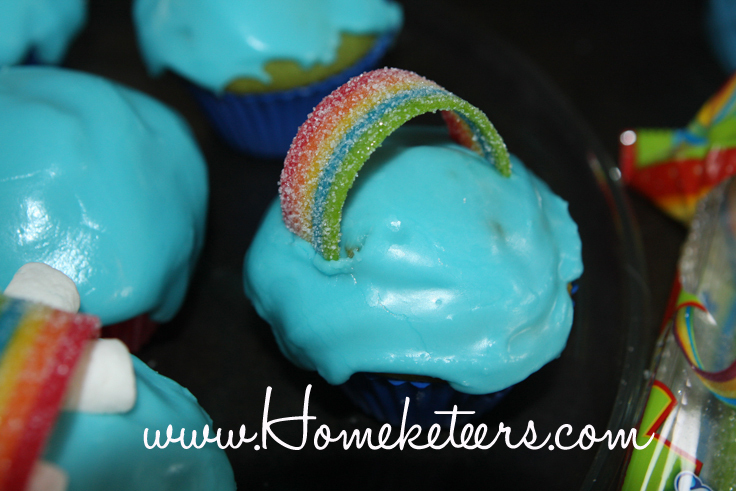 You’ll also need icing (whatever kind you use is fine, just use a tiny bit of Sky Blue food coloring), mini marshmallows and Airheads Xtremes Candy. Now let me give you this hint – check your local gas station mini mart for the candy. I looked everywhere for this particular Airheads and had quite the time finding it. No grocery store, Walmart, or Walgreens had it. Just as I was about to give up, I found it in our local Thornton’s Gas Station. Relief. 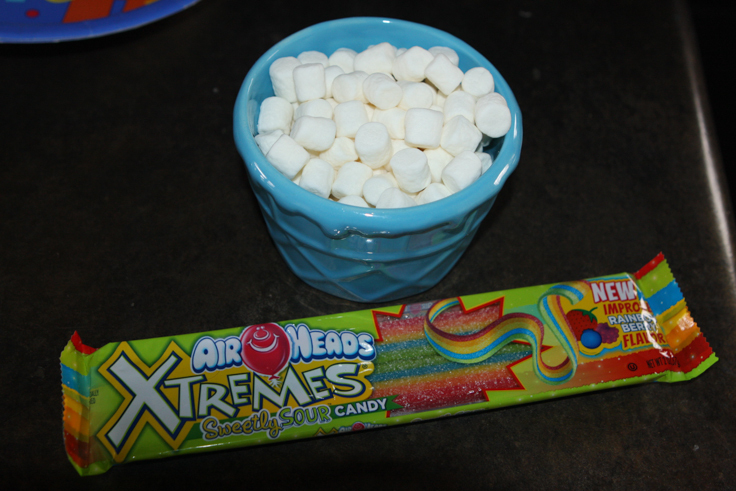 Start by spreading on your sky blue icing, then cut a piece of the airheads candy in half. Bend it into an arch and stick the ends into the icing right away (before it starts to harden). 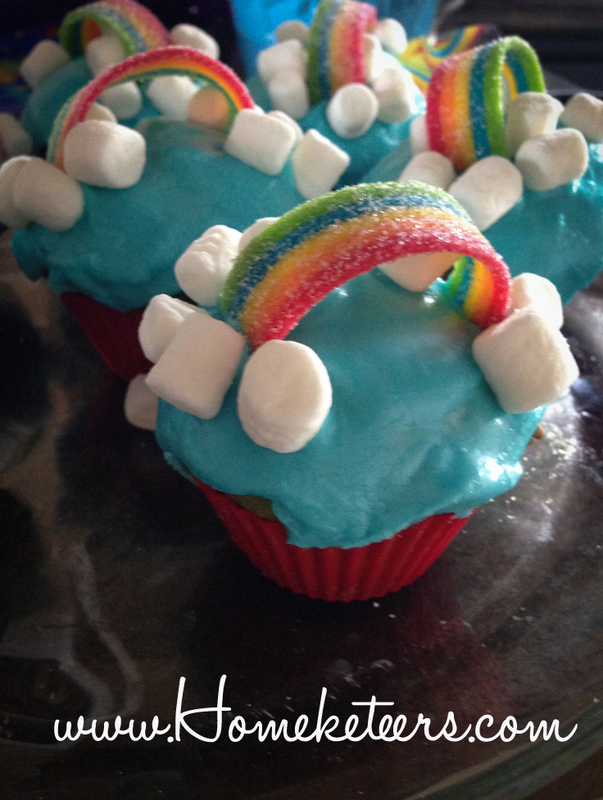 Next place some mini marshmallows around the base of your “rainbow” so it looks like clouds. 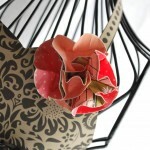 It will also help to hold the rainbow up on the inside. That’s it! Easy right? And they are so cute!